Dmitry Rybolovlev thought he’d been ripped off when he paid Swiss art dealer Yves Bouvier $127.5 million for Leonardo da Vinci's Salvator Mundi in 2013, once he learned Bouvier had paid between $75 and $80 million for it. But after Salvator Mundi’s sale in November at Christie’s for $450.3 million, it was hard to argue he’d overpaid. Google searches for “investing in art” hit a 12-month peak just after the sale, suggesting a new wave of investors may be circling the art market, which is already stacked with consultants, data providers, wealth managers, and lawyers who advise clients on how to approach fine art as an asset class. Talk of art as an asset class is not quite new. One early art investor was the British Rail Pension Fund which decided to invest approximately $70 million (about 3 percent of its holding) into fine art and collectibles between 1974 and 1981 in an attempt to diversify its portfolio and hedge against inflation. Due to careful buying and smart timing in its purchases and sales, it generated solid returns. But today’s casual art buyers may not fully appreciate the profound differences in how the art market functions compared with the market for stocks and bonds. 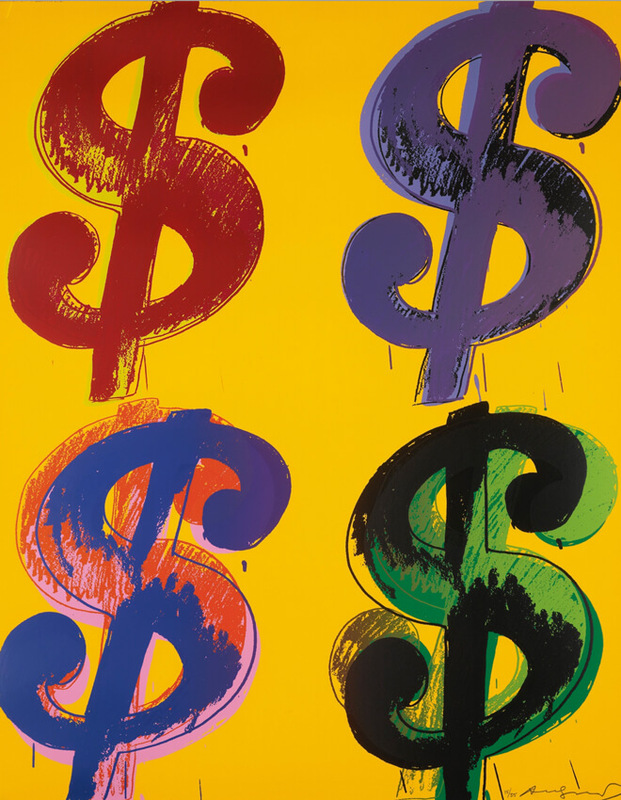 Here’s a look at how those differences affect the risks and returns of being an art investor. The art world is a wonderful place with many delightful things to look at and buy, from a $2,000 print by KAWS to a $30 million painting by Picasso. With more galleries, art fairs, and online portals than ever before, spending money on art is easy. While a few popular artists may have waiting lists, most artists have work available for sale at the galleries that represent them. Buying art at auction is also easy because anyone who passes a basic credit check can bid, and the object goes to the highest bidder with no questions asked. No lists, no relationships to build and foster, no feelings or egos to manage. But the ease of buying hides the challenges of selling. Galleries are typically reluctant to resell work they have already sold once, because they stand to make more money selling new work by that artist. Top auction houses want to sell proven names, so out of favor artists, or those whose careers have yet to take off, will not be considered. Negotiating auction house consignment agreements is also a complicated and nuanced process that disadvantages the infrequent consigner. Lastly, selling is a moment of truth when title, authenticity, and condition issues that may have been overlooked (or worse, not disclosed) at the time of purchase come to a head. Compare that to the ease of opening up an E-Trade account, where you can trade shares of Sotheby’s (BID) with far greater facility and speed than is required to unload an actual artwork at Sotheby’s. Stock and bond prices adjust constantly to reflect new information. An unexpected increase in quarterly earnings may cause a company’s stock price to jump, while a lower-than-expected monthly jobs report may cause government bond yields to fall. Because information is so valuable, securities law makes it a crime to trade on material, nonpublic information. Publicly traded companies are also required to disclose relevant information to all investors at the same time to avoid giving a select few an advantage. These rules do not apply to the lightly regulated art market comprised of private art galleries, individual collectors, and artists. In fact, it’s rather the opposite: Knowledgeable insiders may trade their information to others in the hope of making a sale. What if a dealer knew that a major museum was planning to stage a mid-career retrospective for a little-known artist in two years? She could offer that information, alongside a few paintings, to a prospective collector. If an auction-house specialist knew that hard-to-detect forgeries were starting to plague a certain well-known artist’s market, he could alert loyal clients. Those in possession of market-moving information are free to use it for personal gain in the art industry. Being an art market insider with access to important tips and whispers has always been, and will likely continue to be, an important determinant of returns. Those without this privileged access are at a significant disadvantage. Liquidity is a measure of how quickly an asset can be converted into cash without the sale affecting the price. Cash is, by definition, the most liquid, with real estate, fine art and collectibles among the most illiquid. Works by 52,105 living and deceased artists appeared at auction in 2017, as reported by the Art Basel and UBS Global Art Market Report. While this number gives a sense of the breadth of the market, much more interesting is that only one percent of these names accounted for the majority of sales value (64 percent). Like many talent markets, the art market is characterized by a ‘winner take all’ dynamic, in which the top names capture most of the rewards with the rest selling for far less. As a result, there is very little liquidity in the art market, other than for the handful of stars whose work appears regularly at auction. By contrast, stock investors can easily sell company shares with relative ease. Investors around the world rely on indexes like the S&P 500, Dow Jones Industrial Average, and the Barclays U.S. Aggregate Bond Index to define the securities that make up an asset class and to understand historical risks and returns. For example, the S&P 500 index tracks the stocks of 500 large companies. It is a powerful tool because it is investible - investors can buy a mutual fund or exchange traded fund that mimics the S&P 500 index and be confident they will get returns in line with it. Or they could buy a more expensive actively-managed mutual fund of large companies, and use the S&P 500 index to evaluate the manager’s performance. Unfortunately, it is not possible to create an investable art index for three reasons. First, roughly half the art market’s annual sales ($63.7 billion in 2017) are automatically off limits for the purposes of creating an index, because they occur in the gallery market where public price disclosure is not required. Second, the indexes researchers have built using repeat sales of art works at auction, such as the Mei Moses Art Indices (recently purchased by Sotheby’s and now known as Sotheby's Mei Moses), paint an incomplete picture of the market and the movement of prices over time. For example, suppose someone bought a Richard Diebenkorn drawing at auction in 1998 and then resold it 15 years later at auction. The annualized rate of return on this repeat sale is a data point used in the construction of the Mei Moses indexes. While a clever idea, very few objects “round trip” at auction relative to total auction turnover, probably less than two percent of annual transaction volume. Moreover, because only art that has gone up in value typically reappears at auction, these indexes suffer from what is called “survivor bias,” which can cause them to overstate returns and understate risk. Third, even if those indexes accurately captured the performance of the auction market as a whole, there is nothing in the real world you can buy to replicate that performance. For most investors, stocks and bonds are enough. But for some, the prospect of putting something wonderful on their walls that may also produce great financial rewards is a siren call leading them to consider putting a portion of their wealth into art. Before committing serious capital, investment-oriented new collectors need to understand and embrace the sharp differences that exist between the art market and more traditional asset classes. *This article appeared in Artsy Magazine on April 9, 2018. Click here.